More than 5,400 Ground Zero responders and others who lived, worked, or went to school near the fallen Twin Towers have come down with 9/11-linked cancers, a grim tally that has tripled in the past two and a half years, according to the New York Post. This is an ongoing tragedy of momentous proportions. 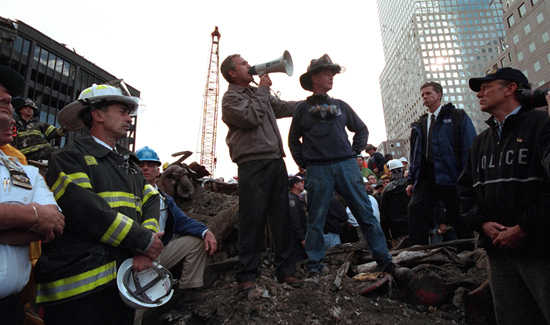 There were many Republicans and some Democrats in Congress who repeatedly voted against sending federal funds to help these sick and injured people who are now paying with their lives for their work at Ground Zero in New York City after the attacks. Make sure you find out who they are and vote against them in the upcoming election.